Enterprise companies continue to wade gradually into container usage. In the container report from 2016, we identified avid enthusiasm for the potential of containers and their adoption—yet this excitement is constrained by the complex challenges of deploying, managing and orchestrating containers at scale. In our follow-up one year later, we see the same steady growth in interest but actual adoption of containers has still failed to take off. Most companies’ container adoption remains in the early or limited stages. 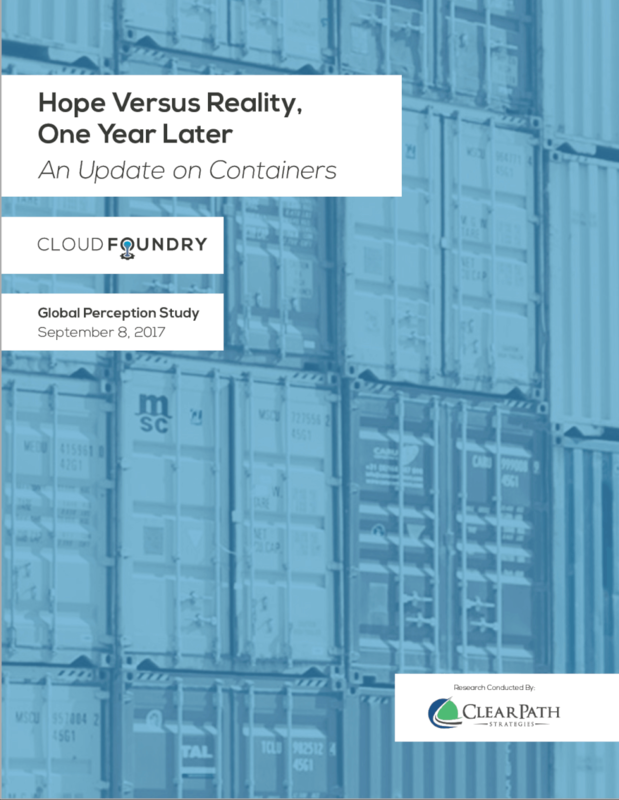 The new report Hope Versus Reality: One Year Later details trends in container usage unveiled in our latest study with answers from 540 technology professionals. Read about our research methodology. We invite you to share your feedback with us by emailing Devin Davis, VP of marketing, at ddavis@cloudfoundry.org.